In searching for ideas on how to address the world’s ever growing food insecurity, one of the biggest ideas is actually quite tiny. Crickets! A super food in every way, crickets offer massive nutrition, while leaving a minimal environmental foodprint. With EXO, you can now not only indulge guilt free but can also take pride in joining the movement towards a healthier life, and a healthier planet. Make the choice today to leave an impact on the world while fueling your body with premium nutrients. 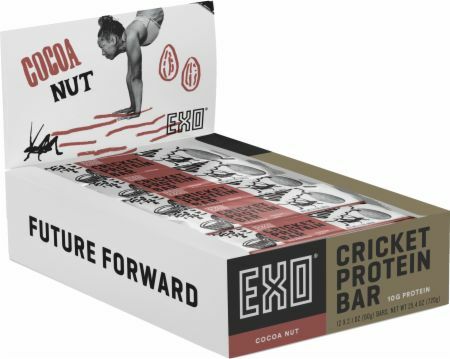 Exo cricket protein bars, are nutrient-dense protein bars made with cricket protein. Quality Protein Eco-Friendly Gluten-Free Delicious & Sustainable! Crickets. The closest thing to a perfect protein source this planet has ever seen. Turn these sustainable wonders into powder, add wholesome ingredients, and you’ve got some damn delicious fuel. Most of the world has joined the bug -eating revolution- we’re here to convert the rest. We pack every delicious protein bar with fruits, nuts... and cricket protein! If you’re worried about taste, DON’T BE! EXOs award-winning three Michelin Starred chef has made sure of that, creating what many are calling the tastiest and most nutritious alternative to your typical unhealthy snack. Using crickets as the main protein source in our bars, we roast and mill these sustainable wonders into powder, add wholesome ingredients like blueberry, apple, banana, dates, cocoa nibs and nuts, to create some damn delicious fuel. All the flavor of your favorite treat, without the empty calories! Gluten-Free, Grain-Free, no Dairy, Nutrient-dense protein bars made with cricket powder. A super food in every way, crickets are a complete protein source, containing all the essential amino acids. Pound for pound, crickets have more protein than beef, more iron than spinach, and are excellent source of B12. 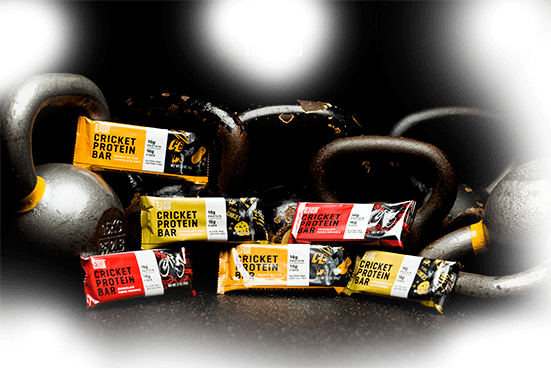 No Cricket Protein Bar Reviews Found. Almonds, Date Paste, Honey, Cricket Powder (Acheta domesticus), Coconut, Cocoa Nibs, Plum Puree (Prune Juice Concentrate, Dried Plums), Chicory Root Fiber, Cocoa Powder, Vanilla Extract, Sunflower Lecithin, Sea Salt. ALLERGY WARNING: CRICKET PRODUCTS MAY TRIGGER CRUSTACEAN SHELLFISH ALLERGIES. *NO WHEAT, SOY, MILK, OR EGG INGREDIENTS. MADE IN A FACILITY THAT PROCESSES THESE MATERIALS AS WELL AS PEANUTS AND OTHER TREENUTS.